Driving in the summer comes with a lot of challenges, between the sun getting in drivers eyes and the increased traffic. The summer heat is also tough to handle, even when inside your truck all day. Check out these tips to beat the heat and stay safe while trucking during the summer months. It’s always important to keep additional water in your truck, especially during the hottest months of the year. During long hauls, it’s easy to forget to drink and stay hydrated, and it can have a significant effect on your mind and body. Pack a cooler or keep additional water bottles within reach during your long drives to help yourself remain hydrated. It helps to set a goal of how much water to drink every hour or so to remind yourself to drink continually. Just because you remain behind a windshield doesn’t mean the sun can’t affect you! Wear sunglasses to protect your eyes and stay safe when driving in the direction of the sun. Also, you should wear sunscreen, especially on your face and upper body, or wear long sleeve shirts to protect your skin. Although your truck may have glass that shields some of the sun’s harmful rays, your skin still needs extra protection with sunscreen. According to a study by the American Academy of Dermatology, “nearly 53 percent of skin cancers in the U.S. occur on the left, or drivers’ side of the body,” and the increase in left-sided skin cancers may be from the UV exposure we get when driving. Don’t risk your health and make it part of your morning routine to wear sunblock every day, even when you have a day off! Your truck can also be affected by the summer and hot temperatures, so it’s crucial to perform maintenance and inspections to keep everything running smoothly. The warm temperatures increase the risk of tire blowouts, and under-inflated tires can become a big problem. Take the time to check that your tires are properly inflated each time you set out for a haul. Also, the heat effects brakes, and can result in a loss of friction when the brake parts can’t absorb any more heat. Check your brakes before every haul to keep yourself and others on the road safe this summer. 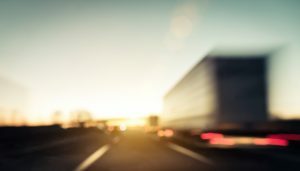 This entry was posted on Thursday, June 7th, 2018 at 8:13 pm	and is filed under Road Travel, Trucking Safety. You can follow any responses to this entry through the RSS 2.0 feed. Both comments and pings are currently closed.